events where we supply the power, to a large ballroom that seats five hundred. We are focused on the needs and wishes of the Bride and Groom. We concentrate on every detail making sure that there is nothing left to chance. Check out our wedding contract and checklist by clicking here. This is just one of the ways we manage the details. We look forward sharing in your special day. Starting the process by providing wedding checklist to help you plan your special day. Scheduling a one on one planning meeting with your Deejay. Developing a playlist customized by you built from our DJ standards collection including special requests for your dances. Providing quality equipment and media with back-ups on-site. Dressing our professional DJ in appropriate attire to match you event from a business suite to a tuxedo. Completing load-in, and set-up of our equipment before your event. Providing live performers for either your ceremony or your reception; including guitar entertainment, vocalists, as well as live bands. Adding Karaoke is a great way to enhance your reception or liven up your rehearsal dinner. Upgrading to a large ballroom package when the standard deejay package equipment simply just won't do. Setting up lighting for your dance floor with a lighting upgrade package including two light trees with moving lights. 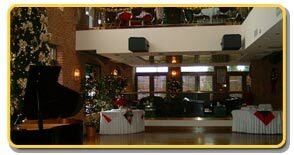 Providing additional sound system for cocktail hour or ceremony at a separate location. We also have a variety of partners that offer all the trimmings for the wedding. We can recommend a venue or limousine Service for you or just visit our Partners Page.